Norman "Dugie" Russell dove on the sunken wreck of the U.S.S. New Hampshire off Singing Beach in Manchester. 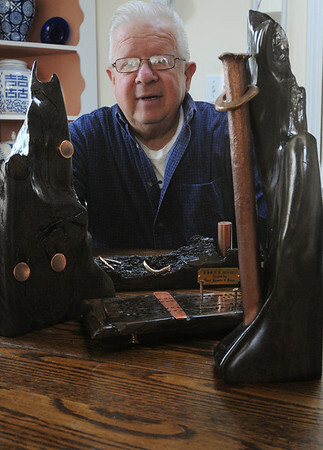 The artifacts that he recovered are fashioned into pieces of art which he sells.